Lock in a great price for Hotel Villas Balam Ya – rated 9.2 by recent guests! It is nice place if you are looking for privacy. Great and helpful staff. 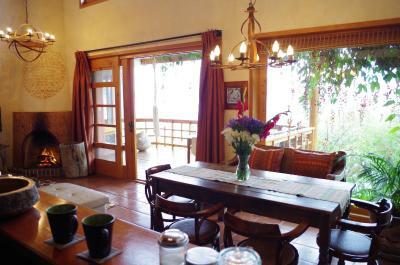 Spacious room with kitchen, balcony and terrace - a lot of glass walls, so you have beautiful view of the lake. Lovely location and facilities. If you like remote, serene, and cozy this is the place for you. Wonderful! This place is Nirvana. 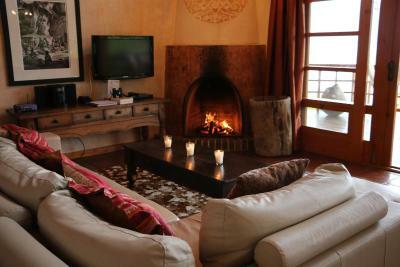 If you are looking for a relaxing holiday in a magnificent location. This is it. 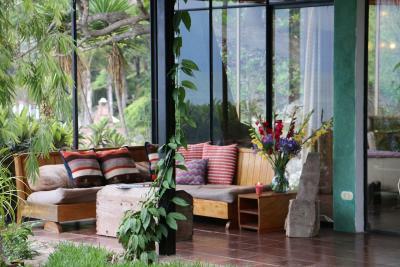 The architecture of Villa Mirador is beautiful and a perfect mix of traditional Guatemalan and modern. 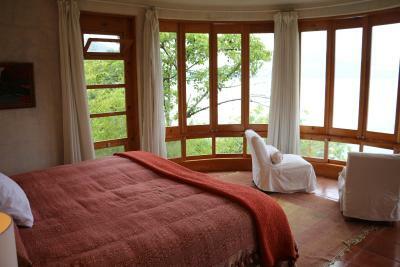 Every room had a beautiful view of Lake Atitlan. The hotel is lovely with fantastic views. The rooms are spacious and confortable. The staff was very kind and willing to make the best of our stay. Great place to getaway from the city and be surrounded by beautiful nature. I loved that the property was just outside of Pana. So you get to have a moment of peace with the lake and nature. The Villas were beautiful and the property and views were breath taking. The staff was wonderful and so helpful for anything that we needed. Also the complementary breakfast was so fresh. Would highly recommend this place to anyone looking for a piece of relaxation and peace. Nisa. Was an amazing host. She was always there for us. Wonderful staff, healthy, nutritious breakfast. Once we were shown to our villa everything was great and we felt very looked after. The decor was beautiful and everything was very well thought out. The food that was prepared for us in our villa by a lovely chef was delicious and definitely worth it for a treat. However if you want to save a little money it is easy to order pizza and other food for dinner which will work out a little cheaper. If you are staying for more than a couple of nights then definitely make use of the kitchen! The villa was very beautiful. Everything was very clean. The beds were very comfortable. The staff were extremely helpful in providing us tuk Tula and a lake tour. The views are amazing! And the grounds are stunning. All the staff were above and beyond friendly, even making breakfast for you in your villa! Hotel Villas Balam Ya This rating is a reflection of how the property compares to the industry standard when it comes to price, facilities and services available. It's based on a self-evaluation by the property. Use this rating to help choose your stay! Set on the shores of Lake Atitlan, Villas B'alam Ya offers a private dock area, free kayaks, a hot tub, and a complimentary light American breakfast. 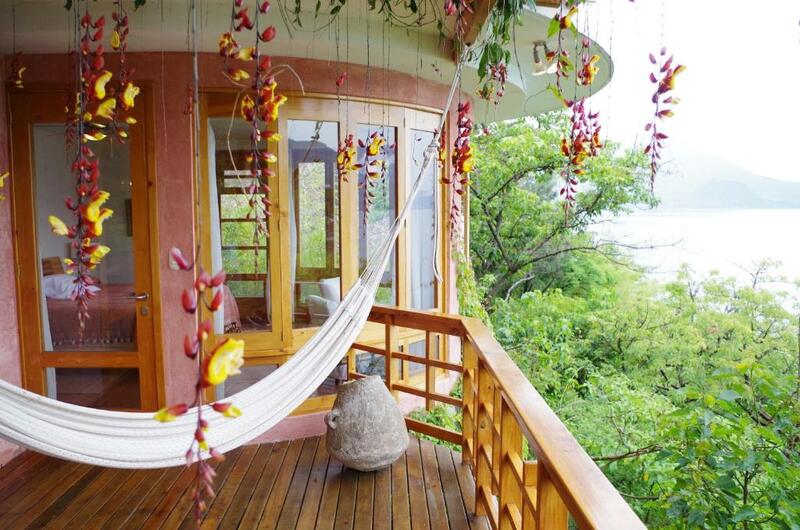 Each villa has a balcony with views of the lake. 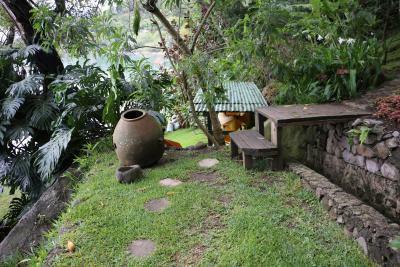 Villas are surrounded by gardens, and offer free Wi-Fi and cable TV. Each villa has a kitchen with a fridge, microwave, coffee maker and toaster. Fans and safes are also provided. 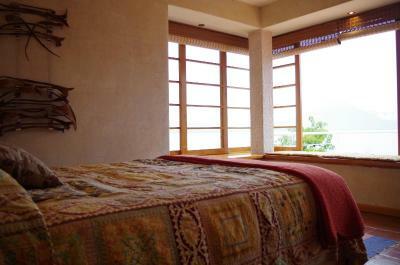 Villas B'alam Ya offers bicycle rental, massage services and private chefs on request. There is a tour desk where you can arrange excursions and transport services. Free private parking is available on site. The town of Panajachel is a 10-minute drive from Villas B’alam Ya. Guatemala City and La Aurora International Airport are 3 hours away by car. When would you like to stay at Hotel Villas Balam Ya? This villa includes a complimentary light American breakfast and offers 1 queen bedroom, a living-dining room with cable TV and a balcony with views of Lake Atitlan. It has a kitchen with a fridge, microwave, coffee maker and toaster. Free Wi-Fi, a fan, and a safe are also provided. This villa includes a complimentary light American breakfast and offers 1 queen bedroom, 1 king bedroom, a living-dining room with cable TV and a balcony with views of Lake Atitlan. It has a kitchen with a fridge, microwave, coffee maker and toaster. Free Wi-Fi, a fan, and a safe are also provided. This spacious deluxe villa includes a complimentary light American breakfast and offers a living-dining room with cable TV and a balcony with panoramic views of Lake Atitlan. It has a kitchen with a fridge, microwave, coffee maker and toaster. Free Wi-Fi, a fan, and a safe are also provided. This villa features a balcony, microwave and toaster. House Rules Hotel Villas Balam Ya takes special requests – add in the next step! Free! Up to two children under 8 years stay free of charge when using existing beds. Hotel Villas Balam Ya accepts these cards and reserves the right to temporarily hold an amount prior to arrival. Please inform Hotel Villas Balam Ya of your expected arrival time in advance. You can use the Special Requests box when booking, or contact the property directly using the contact details in your confirmation. We arrived a little before our check in and we were left to wait down by the beach (no problem as we were early) but it was a hot day and we'd had a journey so I thought it might have been nice for someone to offer us water or a drink whilst we waited. It was a beautiful setting to wait but it felt like we'd been forgotten about. Reaching hotel is little challenging- I believe they should provide map with booking confirmation, as google maps showing wrong direction via non-existing road. They should invest in an expresso machine. Amazing view. A very charming room. I didn’t like all the construction going on either on or around the property. Takes from the view and the serenity of it all. Also the fireplace inside our villa #1 needs to have an upgrade. We believe the chimney pipe needs to be much taller. At first the fire was great when you stake the fire and then once the logs fell apart the smoke started filling up our villa. We did call one time. He made our fire but the same thing happened again. I think it could be a easy fix. The fireplace really makes the place so I hope they look into this. The bed was a little squeaky! The partyboats that occasionally passed the property. Beautiful villa with amazing lakeview. Our Viilla Balam Ya was the closest to the lake. Tastefully decorated although we spent most of our time on the wonderful terraces. Easy 15 minute Tuktuk ride into Panajachel from where public boats departed to the barious lakeside villages. Staff was great including breakfast and dinner prepared in the villa. Thanks Nisa, we hope we will have the opportunity to come back. The location is to far away from the nearest town. The value as to high for what we were expecting. The included breakfast was way to small, we had to buy additional food to get started in the day.